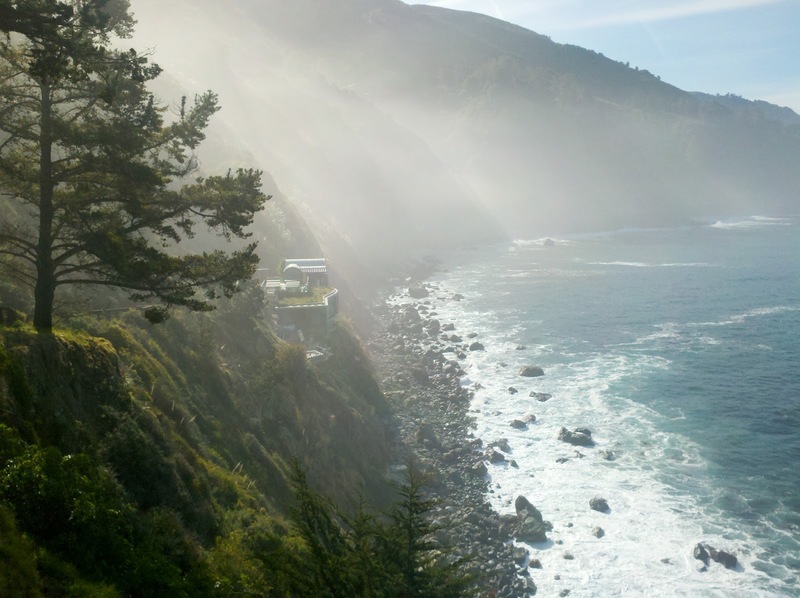 It's difficult to fathom experiencing feelings of disappointment while sitting in meditation during a week-long retreat at such a beautiful place as Esalen Institute in Big Sur, California. For centuries, others who have gone before me have endured real hardships - stark living conditions and even persecution - in pursuit of their awakening. By contrast, I sat in relative luxury, with every need cared for. Every delicious meal was prepared for us lovingly from the finest natural sources. At the end of any session, I could soak in natural hot spring baths while gazing out over the waves of the Pacific Ocean. Still, I felt solemn and agitated by recent events and discovered myself pushing to move on. Grasping for realizations fueled further discontent. We were there to learn a Tibetan Buddhist meditation known as Mahamudra. I wrestled with the new style that differed from that to which I had become accustomed. Many of the preliminaries were similar - concentrate the mind by focusing on the breath, then ease up and allow insights into the focused mind. But, here, as in Zazen, the meditation is done with eyes open and the sessions were much shorter - 10 or 15 minutes in the beginning, extending to 50 minutes or so by the end of the week - compared to long hours of sitting and walking in silence at a Vipassana retreat. The first half of the retreat seemed like pedestrian Buddhism, adding further to my frustration. Yet, careful attention to the basic instructions proved helpful and the retreat got more interesting as the week progressed. The focus of the retreat was squarely on emptiness (see Emptiness) - seeing each thought and manifestation as a construct of the mind - letting go of all attachments. With the realization that our world is empty of form or substance, ordinary views are seen as projections of the mind that are reflected back onto itself. Even self, especially self, is realized as empty in Mahamudra. Beloved Naropa, this treasure of Buddhahood belongs to you and to all beings. Obsessive use of meditative disciplines or perennial study of scripture and philosophy will never bring forth this wonderful realization, this truth which is natural to awareness, because the mind that desperately desires to reach another realm or level of experience inadvertently ignores the basic light that constitutes all experience. Crossing from the old waters to the new, the journey has been difficult at times. Migrating from the small tributary in which I was born, to the mainstream and over, around and through the dams that blocked the way. I'd learned to live in relative comfort, with some luxuries - spending my life along the edges of the mainstream. But, the mainstream was shallow and brackish, so I continued upstream with enough hubris to think that I could reach the headwaters - to live a life in clarity by my own sense and standards. The long journey met with interesting people and ideas, but the dissatisfaction remained in the mundane. Now, after so many clues ignored only now, I realize the headwaters to be polluted at their source - bound in the matrix - there is little hope to find nirvana there. Washed, then, downstream to the ocean that receives all waters, most of what and who I knew remain behind in the slack waters of the mundane river as awareness floats within the vast ocean. The ocean isn't constrained by the forces that restrict a river's flow - it cannot be dammed or controlled. The mainstream's veil of the mundane dissolves in it's reflection. Clear waters from unspoiled rivers and streams gather to dilute and wash away the crud. But, the vastness of the ocean overwhelms the old navigation system that carries only maps of the mundane river. Where am I? Who am I? What is my heading? Unwilling to return to the big river, awareness drifts in the currents and eddies of the void while the coarse physical body seeks sustainability. It's the great adventure in search of oneself. The one who fabricates any division in consciousness betrays the friendship of Mahamudra. Cease all activity that separates, abandon even the desire to be free from desires and allow the thinking process to rise and fall smoothly as waves on a shoreless ocean. The one who never dwells in abstraction and whose only principle is never to divide or separate upholds the trust of Mahamudra. "Pointing Out The Great Way" is a style of teaching from the Karma Kagyu lineage of Tibetan Buddhism (e.g., "Ocean of Definitive Meaning" and "Pointing Out the Dharmakaya", both by Khenchen Thrangu Rinpoche). It has been condensed by Daniel Brown and adapted for week-long retreats. His book, by that title, is a re-write of his PhD thesis. We're fortunate to have the teachings adopted and compressed for Westerners with such rigor and insight. The retreat was lead with great care and respect by Susan Mickel and George Protos. It wouldn't be appropriate, nor possible, to detail the teachings and techniques in this brief summary. Simplistically, one quiets (concentrates) the mind to a subtle state and trains it to realize the constructs of form and the nature of the mind. It was a very fortunate introduction to a profound treatise on thought origination, perception and conception. Supreme knowing knows no separate subject or object. Supreme action acts resourcefully without any array of instruments. Supreme attainment attains the goal without past, future or present. In the blissful embrace of Mahamudra, negative viewpoints and their instincts are burned without remainder, like camphor. Through the open door of Mahamudra, the deluded state of self-imprisonment is easily left behind forever. Consciousness is like a reflection - seeing, but not holding substance. "Self" and "others" are constructs of the mind. There is no separation between awareness and the object it sees - no duality. Beyond all hopes, fears and preference, consciousness of self dissolves into the primordial awareness - the dharmakaya - and sees by illumination rather than projection. The truth lies beyond the reactivity of the mind - not grasping, not averting. When we conceptualize, we create separation from direct experience. Instead, true awareness sees everything freshly in the present moment. Within subtle stillness, I saw the bubbles (membranes) again - and bubbles within bubbles within bubbles, cf. Ego and Revealed. They are an abstraction of the mind representing metaphorical levels of differentiated awareness contained within the primordial source awareness. I see them in my subtle mind, but they appear genuine and literal. They reflect insight into the manner in which the universe is constructed. It's interesting how they manifest in imagery. Where do the images originate? I'm not aware of any effort to create them. The inherent intelligence is difficult to hold long enough to delineate by deconstruction - lying beyond rational thought. In the coarse view, several individuals sit in a circle within the wood yurt. In the intellectual view, the walls and everything within them are known to be composed of energy trapped in stardust, the people animated by some divine force. In the subtle view, the boundaries of the walls and bodies sitting in our circle dissolve into a faint glow and the space between material objects illuminates. True awareness reflects itself to itself without preference for objects or other. Is this another slippery, empty construct? How do we discern? Finally, there is the void - vast disembodied awareness - arupajhana (Theraveda, see Jhana) - the stable primordial ocean, but without knowledge or insight. States of mind are states of mind. The mind sees the constructs that it creates. Remember the lion's gaze. What is the difference between what we perceive and what we project? Remain in the flow of sheer awareness. Mahamudra neither accepts nor rejects any current of energy, internal or external. Since the ground consciousness is never born into any realm of being, nothing can add to or subtract from it. Nothing can obstruct or stain it. When awareness rests here, the appearance of division and conflict disappears into original reality. The unbound, focused mind is permeable to insight - a great benefit of meditation. That's where the cracks exposed themselves as allies in the quest. The cracks - those disappointments and disatisfactions - are stories our minds tell us. They are the imperfections of our realities transformed to a script we live out. They are everywhere until we let go of everything. The cracks are important to examine. We tend to ignore them because they ruin the picture of the monuments and chasms that we have created. But, look closely. They show us the imperfection of what we accept in our reality. Seeing them, truly seeing them as they exist without any attempt to mask them or make them right, is to acknowledge our coarse reality as imperfect. That's the important clue. Most of us have learned to accept reality as imperfect - and build dreams of imperfection that we project to ourselves and others. No - true awareness is perfect awareness. Perhaps, we don't have to accept this veil of imperfection. Awakening seems to be more of a process than an experience. Most of us have felt it at one time or another and then allowed it to fade away. We talk ourselves out of it as something unsustainable or unreal. We see it in others and call them foolish. Sustain it! That's the practice that the yogis and gurus talk about. Practice staying with it. Don't allow your mind to talk you out of it - that's the trap we've fallen into. The awakened mind has perfected its real nature and sees beyond the veil with unadulterated vision - consistently. There is a shift in perception. The subtle world comes forth and the coarse world fades into the components of its construction. Embrace the cracks. Be brave. Exploit the cracks in the perception of the coarse world to see the subtle light that shines through the haze. When maturity is reached, the river flows smoothly and patiently with the powerful sweep of the Ganges. 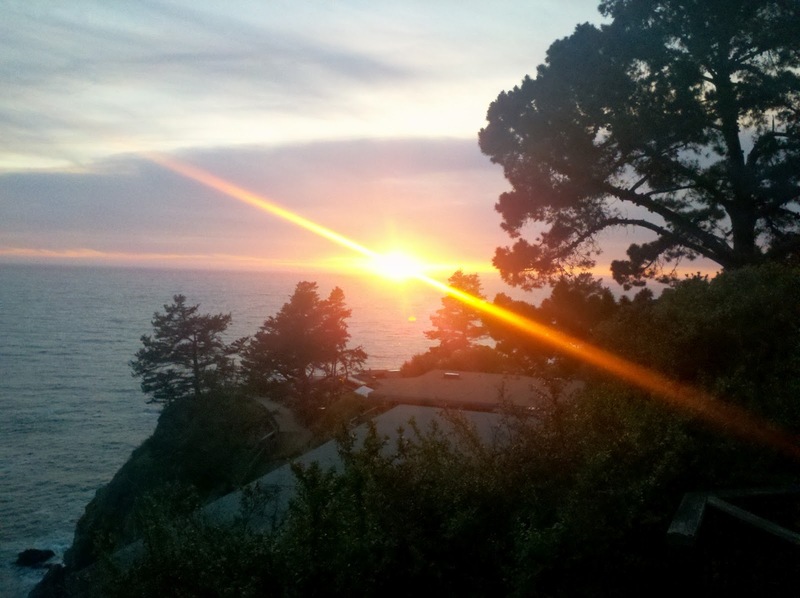 Emptying into the ocean of Mahamudra, the water becomes ever-expanding light that pours into great Clear Light without direction, destination, division, distinction or description. Naropa (1016–1100), who perfected the methods of accelerated enlightenment, described in his six yogas of Naropa.